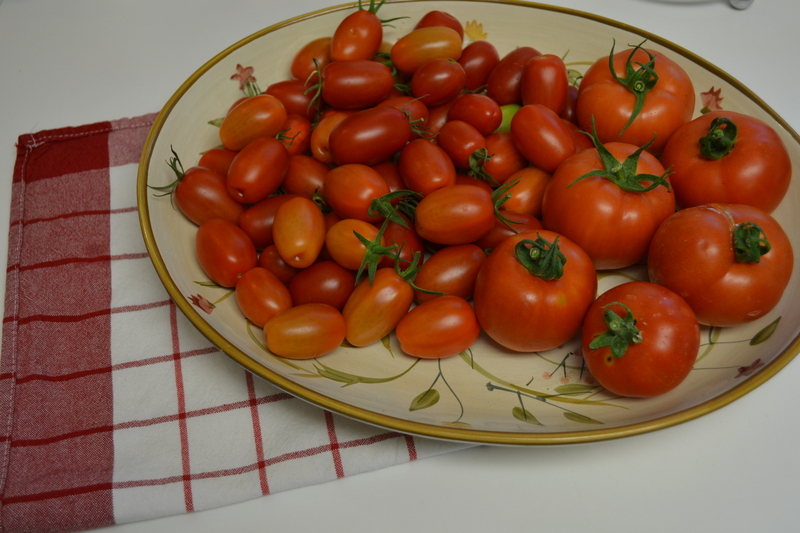 My first 100% organic tomato harvest, given lots of TLC. It is such a rewarding feeling to know that Seth and I get to enjoy these, even more so knowing where they came from and what went into producing them. I would be remiss if I didn’t thank Seth again for helping me continuously stake these seven foot monster tomato plants, as we wouldn’t have any if it weren’t for that 🙂 Also, my mom, for continually reminding me that patience is a vital part of gardening! This entry was posted in Garden and tagged Gardening, Organic, Patience, Rewarding, Tomatoes by livinglikelinds. Bookmark the permalink. They look beautiful! Still waiting to get some ripened off mine. Thank you Linda! Mine have been really slow to turn red…it is really hot in San Diego, right now as I type this, so that’s helping, but geez, hurry up already! Where are you at? For me in SoCal, it definitely seems like things don’t produce until later, but depends on location to the coast too! I’m in Nashville, TN currently. I feel like everything produced a lot faster for me last year here. But, the tree over my balcony has grown a lot and has really shaded it out this year. I think between the shade and the heat, some plants just aren’t enjoying it. At least I should have enough time before frost to get the tomatoes off. I’m so glad the “gardening bug” bit you, it is soooo rewarding! Enjoy to tomatoes!